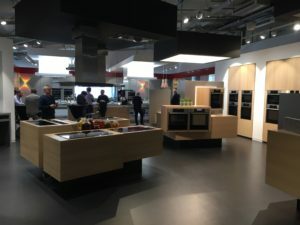 I was lucky enough to visit BSH (Bosch Siemens Home Appliances), the home of Neff in Bretten, Germany. 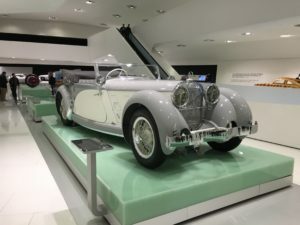 This was a trip organised by Neff for 140 MasterPartner’s over the UK to celebrate 140 years of Neff. 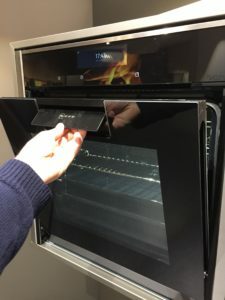 Whilst I was there I had a look at the latest new products, tour the ventilation and oven factory during the 2 days that I was there. 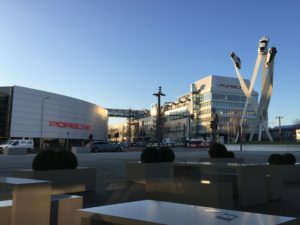 During the late afternoon/evenings we were treated to a meal and visit to ‘Badisch Brauhaus’ (brewery) and on the second day we visited and had a tour of the Porsche Museum in Stuttgart! 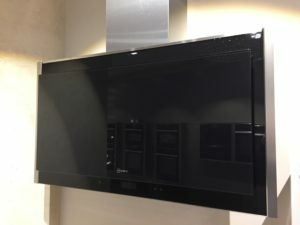 It was really interesting to see how the ovens and ventilation units are made. There was a lot of real people (rather than robots) than I thought there would be. A very well organised production line from the large CNC machines that cut the components to the workers that are putting the units together part by part. 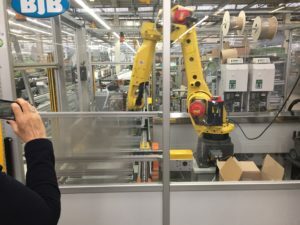 They did have quite a lot of robots that did some of the manufacturing but it then moved forward on the conveyor belt to a real person who would then build the next part. There was a huge building (which you can see on the cover photo of this article) that was a fully automated components storage facility, big forklifts on tracks would run along and collect specific components and bring them down so they could be taken to the appropriate build areas. It was a fantastic experience from seeing the design part all the way to packaging (which is all done by humans). Thanks for the experience Neff! – Scott.